Rep. Linda T. Sánchez, D-Calif., returned to work after the August recess with the bottom of her hair dyed pink. Whether the congresswoman will continue with the look is unclear, but she doesn’t plan to change the tips back to brown anytime soon. It’s the eighth year that Rep. Cathy McMorris Rodgers, R-Wash., is hosting the Digital Challenge, which gets Republican members thinking about innovation in technology. This year, she is challenging all offices’ ability to drive traffic through tracked links to a tax overhaul website (fairandsimple.gop). Each member of the GOP conference has from today until Oct. 2 to drive traffic, with the top three winners determined by those who bring in the most visits to the landing page. 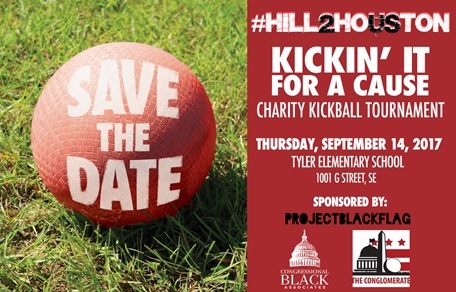 The Congressional Black Associates is hosting a kickball tournament next Thursday and 100 percent of the money raised will go to the Hurricane Harvey Relief Fund. Staffers are encouraged to participate, but anyone can sign up. Stay tuned for information on how to get involved. Robert Newlen is leaving his position as deputy librarian of Congress, a post he has held since November 2016, the LOC announced Wednesday. He was previously chief of staff at the LOC, where he has worked for more than 43 years. Newlen will be an executive director of a private foundation. Mark Sweeney, associate librarian for library services, will be acting deputy librarian of Congress. Issue One’s ReFormers Caucus and the Center for Strategic and International Studies are hosting a news conference “attacking the roots of dysfunction in Washington” on Sept. 20. Former Reps. Zach Wamp, R-Tenn., Constance A. Morella, R-Md., Porter J. Goss, R-Fla., Lee H. Hamilton, R-Ind., and former Sen. Richard G. Lugar, R-Ind., are scheduled to participate. It will be held at the Center for Strategic and International Studies (1616 Rhode Island Ave. NW). Former Rep. Cynthia A. McKinney, D-Ga., is starting a bus tour “to restore truth and integrity to governance,” The Atlanta Journal-Constitution reported. The former congresswoman is planning to push for new legislation to nationalize central banks, universal voter registration, and open primaries through her #UNRIG bus tour. The Beer Institute held a “Welcome Back Congress” reception on Capitol Hill on Tuesday evening and awarded Sens. Roy Blunt, R-Mo., and Ron Wyden, D-Ore., as well as Reps. Ron Kind, D-Wis., and Erik Paulsen, R-Minn., with the 2017 “Beer Champion Awards” for working on the Craft Beverage Modernization and Tax Reform Act. The legislation would provide tax relief for brewers and beer importers. Rep. Ryan A. Costello, R-Pa., 41. Have any tips, announcements or Hill happenings? Send them to AlexGangitano@cqrollcall.comGet breaking news alerts and more from Roll Call on your iPhone or your Android.